This Par-Kut client wanted a good looking, contemporary building for a new entrance gate at their growing facility. The round ended CURVUE series booth gave them the look they were after. 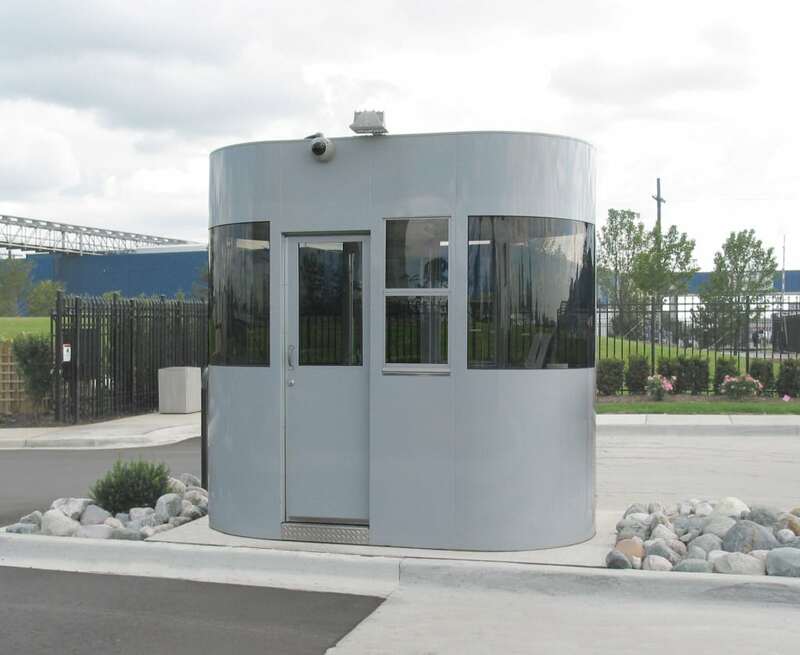 Two sliding doors are included in this 5′ x 9′ guardhouse to enable the security personnel easy access to both lanes of traffic. Adding to comfort level are tinted windows and a roof top air conditioner. Note that you can barely make out the a/c unit behind the extended roof fascia. The booth was topped off with several large flood lights and a built in camera system. Now, the position is ready for action!